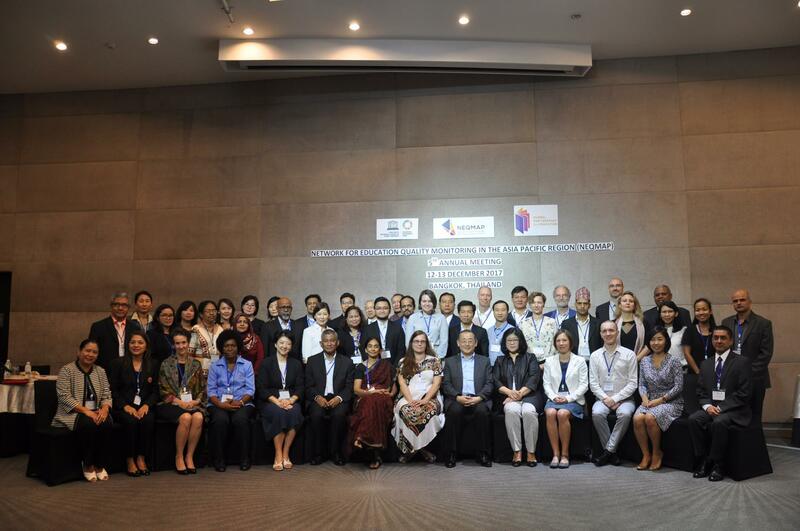 Professor Esther Care attended the Annual General Meeting of the Network on Education Quality Monitoring in the Asia-Pacific (NEQMAP), with many friends of ACTRC, including Gretchen Cordero of the Bureau of Educational Assessment, Philippines Department of Education, and Ethel Valenzuela of SEAMEO (pictured together to the left, front row). NEQMAP has become a model for the establishment of other education networks globally, including the recently inaugurated TALENT network, coordinated out of UNESCO Dakar. The networks provide a base for countries in the each region to research and work together to improve their education systems. Esther presented on a continuation study of the first phase of assessment of transversal competencies (Care & Luo, 2016), as well as co-presenting with Shailendra Sigdel of UNESCO (UiS) New Delhi on progress toward monitoring of the Sustainable Development Goals.